Haute Couture Fashion Week has begun in Paris, and the streets are again full of street style fashion, even more than every other day in Paris. What an abundance of inspiration to draw from, and in just one day, a trend worth noting was revealed – the Shearling Lined Jacket. 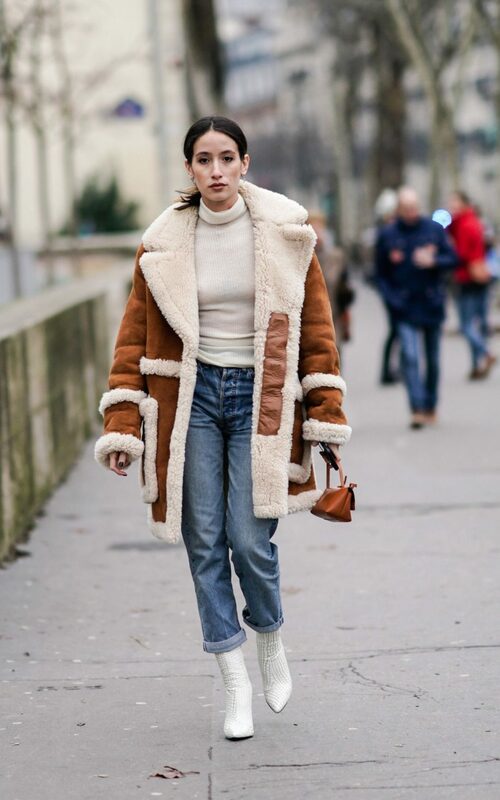 Seen above on Alexandra Guerain and on Jeanne Dumas just below, short or long, this cozy outerwear capsule item is worth taking a closer look. 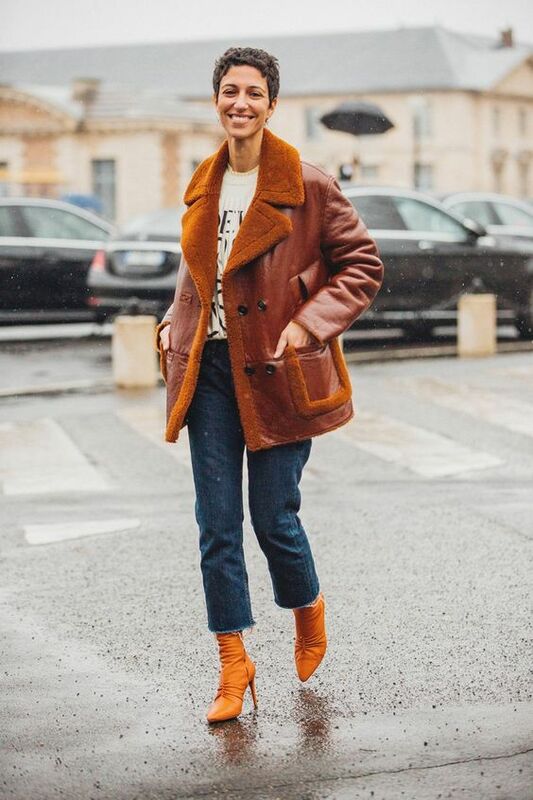 I have gathered up a few more street style inspiration images below Jeanne Dumas, as well as shopped jackets available at various price points. 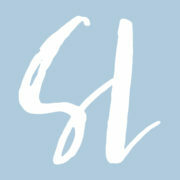 Have a look and I have a feeling you will be seeing shearling popping up a bit more. Both warm and a touch of the classic sophisticate. Why not give it a go? Great images! I just bought a shearling lined sweater-jacket from LL Bean. It’s too bulky and warm to wear in the house and too light to wear outside right now (it’s -10 here in the Upper Peninsula of Michigan) so I need to figure out how/when to wear it! Lovely style. Living in Colorado, I love the shearling look. Just wanted to mention that most folks think shearling is shorn wool, but it’s actually the skin of a shorn and slaughtered lamb. There are many faux shearling coats now, made so beautifully that you can’t tell the difference, and if you’d rather not wear fur (or have a soft spot for lambs) they are a great alternative. Thank you very much for sharing this. 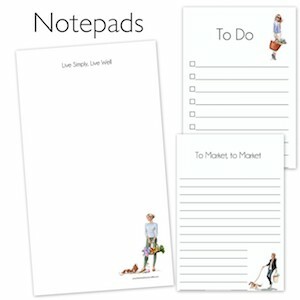 The alternatives look just as lovely, and as someone who does have a soft spot for lambs, that would be my choice. Thanks for posting, I like the jackets but i love the look of those boyfriend jeans with the boots!! I really like the look Of the different Jean styles mostly shorter, it is such a fun look. The entire look is playful, yet sophisticated and modern. I couldn’t agree more!